And a woman who had been suffering from a hemorrhage for twelve years, came up behind Him and touched the fringe of His cloak, for she was saying to herself, “If I only touch His garment, I will get well.” But Jesus, turning and seeing her, said, “Daughter, take courage; your faith has made you well.” At once, the woman was made well. Matthew 9:20-22.Matthew’s description of the above event is a little sparse. 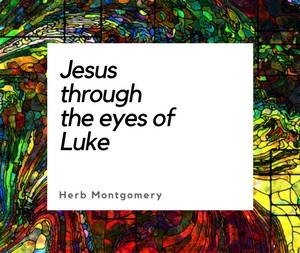 Take a moment and read through Luke’s and Mark’s telling of this story, and then I’d like to share with you what’s on my heart that I see in Jesus’ understanding of the character of the Father this week. And a woman who had a hemorrhage for twelve years, and could not be healed by anyone, came up behind Him and touched the fringe of His cloak, and immediately her hemorrhage stopped. Let’s begin by looking at the “legal” situation, with its social and religious implications, that this woman would have experienced during her 12 years of hemorrhaging. It will take a moment, but the point will be well worth it. When a woman has a discharge, if her discharge in her body is blood, she shall continue in her menstrual impurity for seven days; and whoever touches her shall be unclean until evening. Leviticus 15.19. Now if a woman has a discharge of her blood many days, not at the period of her menstrual impurity, or if she has a discharge beyond that period, all the days of her impure discharge she shall continue as though in her menstrual impurity; she is unclean. Leviticus 15.25. Also, whoever touches the person with the discharge shall wash his clothes and bathe in water and be unclean until evening. Leviticus 15.7. She shall not touch any consecrated thing, nor enter the sanctuary until the days of her purification are completed. Leviticus 12.4. With the above texts in mind, follow carefully what this would mean for her. And remember, this had been going on for twelve long years. Cut off from other people; she would have been a social outcast. Cut off from the sanctuary; she would have been viewed as a religious outcast. Cut off from being able to be a man’s wife; she would have been alone, destitute, and abandoned, even reduced to begging for some sort of income. Mark (Peter) even indicates that she had exhausted what money she did have on failed medical solutions, as well. No human touch for twelve years. No connection with any religious service for twelve years. Financially destitute, she was with no means or hope of turning things around. Far more devastating than the financial dilemma, the social and religious stigma of having to walk around being “unclean” and the garments she would have worn, also indicating, from a distance, that she was “unclean,” would have given her the same standing as a leper. Now notice the risk for her in doing what the above story tells us she did regarding her “touching” Jesus as He passed through the crowd. First, she, by “sneaking” in, polluted the crowd. Once everyone found out, she would have made a lot of people extremely upset. They would now have to go through, each of them, the ceremonial washings and be unclean (i.e. in isolation without coming into contact with anyone else) until that evening. Talk about having someone ruin your day! Second, she polluted Jesus by this act. She touched HIM! Third, she lied. Luke’s telling of this story reveals that they were all denying it, but when this woman realized she could not escape, she came forth and confessed what she had done. Don’t pass over this too quickly. She was expecting rebuke. In fact, it’s how Jesus, according to the law, should have responded. This woman broke the law and polluted everyone there, including Jesus Himself by touching Him. And yet, Jesus affirms her by calling her “daughter.” He affirms what she did calling it “Faith”. Jesus affirms what she has done, although highly “illegal”, as a beautiful thing. Now I will admit that this raises some serious questions that I will not attempt to answer here. I simply want you to catch a glimpse of Jesus’ heart in relation to this woman and realize that He did nothing unless it was how He saw His Father relating to things as well (John 5:19). Jesus doesn’t give instruction on how the law is to be carried out now by the crowd in this situation. No lectures about washing. No instruction for the people. And NO rebuke given even to this woman for her total disregard of the law’s direct commands. Why? In closing, I want to zero in on this one subtle point. Over and over again, in matters of law, Jesus exemplified that when the concern for people contradicts or crosses our keeping of law, Jesus always chose people over the law. (In the altercation between His disciples and the Pharisees over the Sabbath, Jesus even used David’s illegal eating of the showbread as an example. Then applying it to the current situation, states, the Sabbath was made for people. Not people for the Sabbath.) I know the questions this raises, but I believe it is healthy for us to simply let our hearts “marinate” in this reality for a moment before we try to “theologize” it away. People mattered most to Jesus. People were His top priority. And when we, known for being people of the law, become known for being people who believe that people matter most, then and only then will the earth be lightened with the truth of God’s character of love as it also was through Jesus. Too often, I have been guilty of placing the law above people. And just as He did in His own day, Jesus turns this reality again on its head in our day as well. May we become experts, not simply in the law but in our concern for the people God brings to our path as well. When they matter most to us and we become successful at communicating that they matter most, too, then we won’t simply be enlarging a church; we’ll be enlarging the “kingdom” as well. Here is a statement I read just this past weekend by Tim Keller in his Reason for God. It’s this truth that this woman with the issue of blood saw in the eyes of Jesus. It was this truth that forever changed her life that day. May those who cross our path see this truth in how we relate to them as well. Live in love, take up the Cross, and let’s together go enlarge the kingdom.